Jacob established the channel for the central column. And brought balance to the world. His sons came from that pure seed and they were all great spiritual forces. Each of them represents one of the 12 energies of the year (The Zodiac). וַיֵּלֶךְ רְאוּבֵן וַיִּשְׁכַּב אֶת-בִּלְהָה פִּילֶגֶשׁ אָבִיו, וַיִּשְׁמַע יִשְׂרָאֵל . G-d was waiting for the right people to connect to him and draw more light to the world. Like in physical light, all you need to is to remove the blockage from its path. Rachel was on a higher level and after she died, Reuben knew that if his father connects to Bilha, it would not be the same as with Rachel or His mother, Leah. When Rachel gave Bilha to Jacob she used her as a tool to bring children for herself. The consciousness is the actual control of the connection between a man and a woman. A couple should always conceal their place and time of connection. When done it should be in total darkness (to disconnect from the material world around and to have better influence of their consciousness into the act.). A women counts seven \’clean\’ days after her monthly cycle is finished. On the eighth day she goes to the Miqveh (ritual immersing in water for spiritual cleansing). That night she bonds with her husband to make the Mitzvah of " פרו־ורבו " "be fruitful and multiply". This act is very important; the vessel (egg) in the woman is ready to receive the light (seed of the man). The seed is caledl " זרע " = 277 in Hebrew and is built from " רז " = " אור " = 207 + " ע " = 70 (represent seven lower Sefirot). For the knowledgeable of you read Psalms 97:11 " אוֹר, זָרֻעַ לַצַּדִּיק; וּלְיִשְׁרֵי-לֵב שִׂמְחָה ". (Notice that the letter vav is missing from the second word). If another person knows about a connection of a couple, they could influence the consciousness of the connection and the result could be a child that is not really theirs. When Rachel gave Bilha to Jacob she actually controlled the connection and the consciousness. The children came pure and spiritually high. Reuben knew that his father would connect to Bilha on the eighth day, the \’Mitzvah\’ day. Rachel was gone so the connection would be with Bilha and not with the proper consciousness. This could bring a child that was not at the level of his brothers. The Zohar explains that Reuben moved his father\’s bed on the Mitzvah day (the eighth day) and created a disconnection in the spiritual realm between Jacob and Bilha. He did the right thing and for that, the Torah scroll shows a new paragraph to begin in the middle of the verse. That space in the middle of the verse signifies a great light. 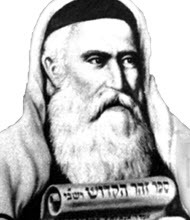 The verse ends with " וַיִּהְיוּ בְנֵי-יַעֲקֹב, שְׁנֵים עָשָׂר " " Now the sons of Jacob were twelve ". We learn about the importance of the consciousness that is involved when a husband and wife is connected. Bringing a child to the world is a serious act and not a simple physical connection and transferring some matter between one and the other. Only one seed can penetrate the egg and once it does, all the rest \’escorting\’ seeds are there to help the connection of the Light and vessel. It maybe a tiny, microscopic matter but it can carry a world of consciousness. Previous Previous post: ¿Oscuridad, Luz, Mesías Or Oscuridad, Mesías, Luz Or? Next Next post: Emor- What is time?